We invite you to learn more about Monica by reading or watching her speech in its entirety, and reading Director of Advancement Amy O’Reilly Rizzi’s ’91 remarks introducing her. A warm thanks to all those in attendance, and to the many donors who provide these life-changing educational opportunities to so many GA girls. I am delighted to be here with you all this morning—over the past four months I’ve enjoyed reconnecting with old friends, making new ones, and for those I haven't yet met, I look forward to getting to know you as well. 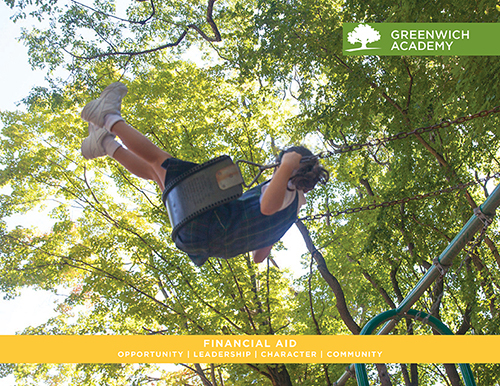 Echoing Nina’s sentiments, I too want to share my heartfelt gratitude for your support of GA’s financial aid program and indeed for all of the many ways you make a difference in this community. As a graduate of the Class of 1991, I am thrilled to be back at Greenwich Academy and even more excited to have opportunities like this to share all that GA makes possible for girls at every age. Today’s breakfast stands out as a major highlight of the year, and it is a true honor for me to introduce to you our speaker, Monica Rodriguez from the Class of 2008. I had the pleasure of sitting down with Monica recently, and I came away so impressed. Such a hard-working, talented, gracious young woman whose smile, I’d been told, lights up a room—I have to agree! To start, just a little background…after attending Catholic school in Stamford, Monica joined GA in Group IX. 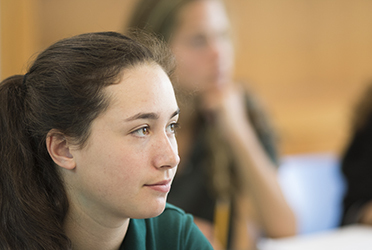 And she made the most of her four years in Upper School, always seeking the advice of her teachers and trying new things, maturing and growing along the way. In the words of her art teacher Sherry Tamalonis, “Watching Monica develop from a shy, young student and then watching her address an auditorium of a thousand people as the keynote speaker at a diversity conference, I was awed and impressed with her eloquence, poise, kindness, and humanity.” Monica learned a lot from GA and she got involved…for example through her important role in SCORE (Students of Color Organized to Represent Equality). I’d venture to say that Monica’s future path was heavily determined by her appetite for trying new things in GA’s nurturing environment. Here she developed a passion for art…remembering with fondness her Saturday trips to the Metropolitan Museum with Mrs. Tamalonis. And then there was the spark that ignited her love of Chinese. Fast forward to college at Bates, Monica majored in Chinese and Political Science and wrote her thesis on censorship in Chinese art. Following her graduation from Bates, Monica went directly to law school at Boston College—a young women who, again, knew what she wanted and went for it. From there, she tested the waters in family law for a few years and when she decided to explore other opportunities in the field, Monica returned to her GA roots and contacted my predecessor, Donna Byrnes, the Director of GA's Career Resource Center, for assistance. In a prime example of how GA networking connections run deep, Donna happened upon friend and past parent Bob DeAngelo on line at Starbucks who introduced her to the woman standing next to him, Joli Gross, the Senior Vice President, General Counsel, and Corporate Secretary for United Rentals (a company which happens to be formerly owned by another GA past parent!). Donna, the ultimate connector whose wheels are always turning, realized right away that Joli and Monica shared a similar energy and immediately made the connection. The rest is history, as Donna later learned that Joli was so taken by Monica's strong work ethic and sunny disposition that she hired her as a young attorney in United Rentals’ legal department. We’re so glad that Bob and Joli could be here today to honor Monica and hear about the many people who, like them, have helped shape her path of success. I’d also like to give a special shout out to Monica’s parents who are here with us today—thank you for sharing your amazing daughter with us and thank you for all you’ve done for GA over the years. It indeed did not take long for GA to recognize a natural connector in Monica’s mom (also, named Monica), who served many terms as a class rep for both Monica and her sister Erika, Class of 2013, as well as GAPA's co-chair of Ways and Means Committee. If there was a volunteer job that needed doing, a parents program beckoning all to attend, Monica was there. The apple does not fall far from the tree, given Monica's tremendous affiliation for GA. In closing, after hearing Monica’s story, what became clear to me was the confidence she’s had in pursuing her passions with vigor and perhaps just as important, how she has ably forged a new path when appropriate. Monica, you represent the qualities of a true GA girl—your confidence, your perseverance, and, above all, your open and gracious ways along with your love for the law and the community impress all who meet you…thank you for coming today. Now please join me in welcoming Monica back to GA! Whenever you’re given the opportunity to reflect on how far you’ve come, seemingly small moments from your past come back to you like pieces of a giant unsolved puzzle. You may think about the fact that Spanish was your first language and that you learned English at the same time your immigrant parents were taking English classes. 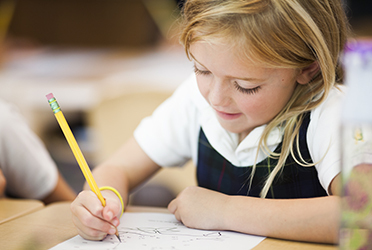 You may think about the fact that you were ready for an academic challenge and your parents supported you through your search for the perfect private school. Maybe you also think about moments that were difficult, like feeling stressed over not knowing what a thesis statement was because your middle school never taught you and your parents didn’t know either. But just as quickly as those thoughts come to mind, you also recall that you had teachers like Mr. Schwartz and Mr. Sullivan who took the time to help revise your college essays. You recall going to SCORE meetings with Mrs. Edwards and a welcoming community of fellow students to discuss what it was like being a young woman of color; you recall the joy you experienced in being able to take your first Chinese class at Brunswick because of their invaluable partnership with GA.
You also remember that your financial aid permitted you to attend a multi-day Student Diversity Leadership Conference in Seattle when you were first developing your passion for diversity initiatives, hungry to make a difference. Beyond classes, you remember the staff and faculty like Ms. Franco, who always greeted you at the RWC, or like Mrs. Canning’s office, who always engaged in philosophical conversations in during your free period. And instead of facing uncharted territory known as the college application process alone, GA provided support in the form of Patrick Dwyer, who explained the importance of being a well-rounded person and introduced schools like an alma mater which you would not have discovered on your own. And just like that: You have completed a puzzle —10 years in the making. And the resulting image, composed of all those small moments, create a picture of support from GA’s administration, faculty, and friends. It’s those same pieces, those same moments that allowed me to thrive at Bates College and later, Boston College Law School. I engaged in the Brooks Quimby Debate team at Bates, fighting zealously on both sides of an argument because GA exposed me to different ways of thinking about the same issues. It was this skillset that gave me the confidence to apply to and accept my White House internship position at age 17 and to venture off to China to research a 200-page dissertation on art censorship. It also instilled in me the qualities of honesty, clean living, unselfishness, and consideration towards others without regard to scholarship or athletics, for which I was awarded the Arata Scholarship, which is presented to the man or woman in the junior class who, in the opinion of his or her classmates, best exemplifies those qualities. When I look at who I am now, I realize that I have been molded by my experiences at GA, thanks to the generosity of donors like you. I remember telling Nancy Hoffmann and Gloria Tearte about how nervous I was to graduate, about how I wasn’t sure what I was going to do or who I was going to be. In both these conversations, these incredible women reminded me that my GA education would not only prepare me for the rigors of school but also life. People say that law school teaches you how to be a successful attorney, but the truth is that GA taught me most of the skills that I rely on in my career today. GA taught me how to think critically, how to speak confidently, how to act amongst my peers….and let’s not forget awesome typing skills. All these strengths allow me to stand out as a competent young attorney in every situation I now face. Thanks to my Greenwich Academy experience, I was able to develop a keen sense of self at an early age. When I was unsure of whether I wanted to continue on my same career path after law school, it was this skill that allowed me to make a seemingly complex situation a rather simple one. Thanks to GA, I had the confidence to look inward and leave my job as a divorce litigator. Thanks to GA, I realized that I needed to switch to a completely new field of law and pursue a newfound passion as a transactional attorney at a Forbes 500 company at age 28. I was originally attracted to United Rentals because they share the same values GA first introduced me to—the importance of social responsibility, diversity, ethics, environmental stewardship and corporate governance. I can make a difference at my workplace thanks to my time at Greenwich Academy. My GA experiences have been the greatest gift this school gave me, and I want to personally thank you and encourage you to continue providing scholarships and donations to GA which have helped women like me become confident and powerful advocates.